Please click here for our UK mainland delivery charges (excluding some parts of northern Scotland). These are based on an estimated total order weight. 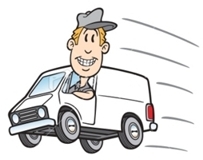 PLEASE CONTACT US IF YOUR DELIVERY IS URGENT. 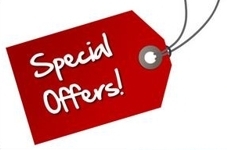 Please check out our special offers! 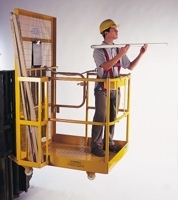 A selection of access platforms, ladders, step ladders, extension ladders / combination ladders, warehouse steps, ladder platform / staging and scaffold towers. We offer a range of cranes including engine/workshop cranes, davit cranes, jib cranes and overhead travelling cranes (push/pull and powered). Standard and made to measure options. 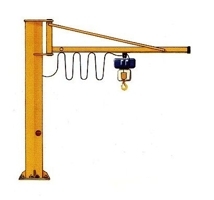 A range of hoists are also available, please see separate section. 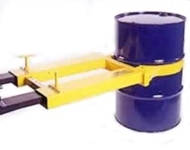 We offer a wide range of drum clamps, grips, tongs, rotators and manipulators to suit steel and plastic drums. We offer a variety of power supply systems suitable for providing power and/or control to a travelling hoist, crane or other moving electrical device. We offer 'C' track, conductor and energy chain systems. A range of forklift truck attachments including access platforms, drum handling, fork protection, fork mounted hooks, jib attachments, gas bottle handler, sweeper attachments and tipping skips. Mobile gantries offer a low cost lifting system with the advantage of being able to move it to a different location. 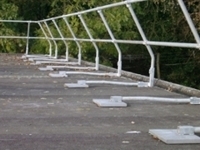 The gantry can be fitted with a manual or powered hoist (see Hoists Section). If a powered hoist is ordered a festoon power supply system will also be required (see Electrical Section). 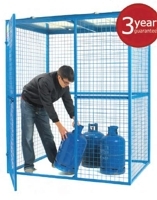 We offer a range of racks, stands, cages and trolleys to transport and store gas cylinders. Manual, electric and air operated chain hoists and lever hoists (pullifts), supplied with a variety of hook paths. We also offer a range of hand pushed and hand geared trolleys. Hydraulic test rigs, puller kits, spreaders, cylinders, hand pumps, hoses and a pressure gauge. 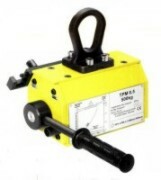 Hydraulic bottle jacks, toe jacks, trolley jacks, forklift truck jacks and ratchet toe jacks. Metal roller skates, nylon roller skates, Easy Movers, the Gizmo and accessories. Webbing ratchet straps or cargo restraints, webbing winches, chain load binders and fibre rope all all used to secure cargo on lorrys. 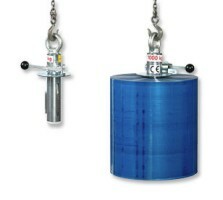 Permanent lifting magnets suitable for lifting flat and round section. Manual and hoist mounted magnets. Vertical reel lifting using an expanding spindle in the core of the reel. We also supply reel manipulators to rotate reels through 90 degrees. 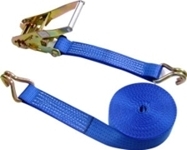 Safety harnesses, fall arrest blocks, lanyards, Karabiners, Tripods and Winches. A variety of mesh security cages. Options include static and mobile bases, lifting eyes and a lift up lid. Simple to erect, rigidly constructed from steel tubes with a plated top cap fitted with a large eyebolt for load suspension. Supplied with safety chains fitted to prevent overspreading of legs. See also safety equipment for man riding tripods. We offer a range of sack trucks, platform trucks, pallet trucks, reel carrier trucks, weigh scale trucks, highlift pallet trucks, work positioners and stacker trucks. We offer several vacuum lifting options in a variety of capacities. We offer Digital load cells, mini weighers and crane weighers. 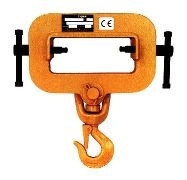 We also supply a range of weigh beams and platform scales. We offer a range of manual and powered winches and wire rope.